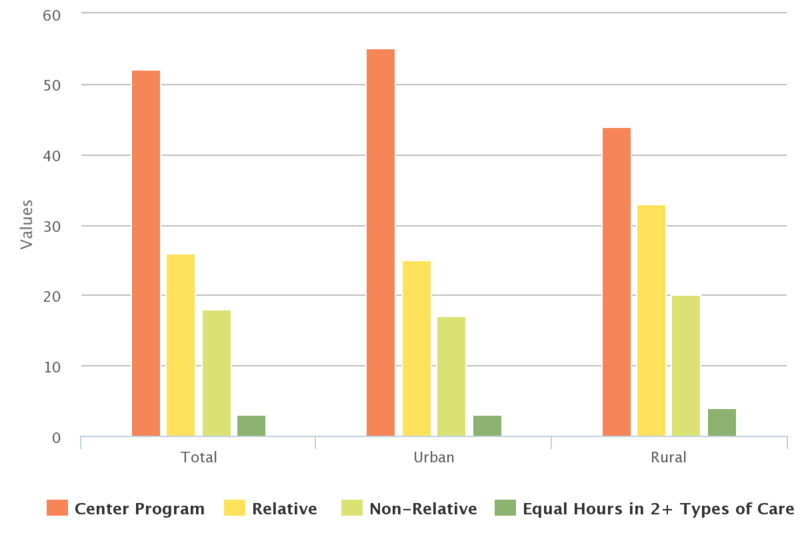 Figure 2a and Figure 2b present the distribution of children across three types of primary non-parental care arrangements for all children and for those with mothers employed at least part-time. As stated earlier, the definition of center programs used by the NHES included Head Start, pre-kindergarten, day care centers, and other early education programs. Compared to children residing in urban areas, the NHES showed that rural children were more likely to be cared for by relatives and less likely to participate in center programs. However, despite these differences, more children were cared for in center programs than in any other type of care in both urban and rural areas. The NHES did not find statistical differences in the use of non-relative care for urban and rural children. Note: This figure is restricted to children receiving non-parental care at least once a week.